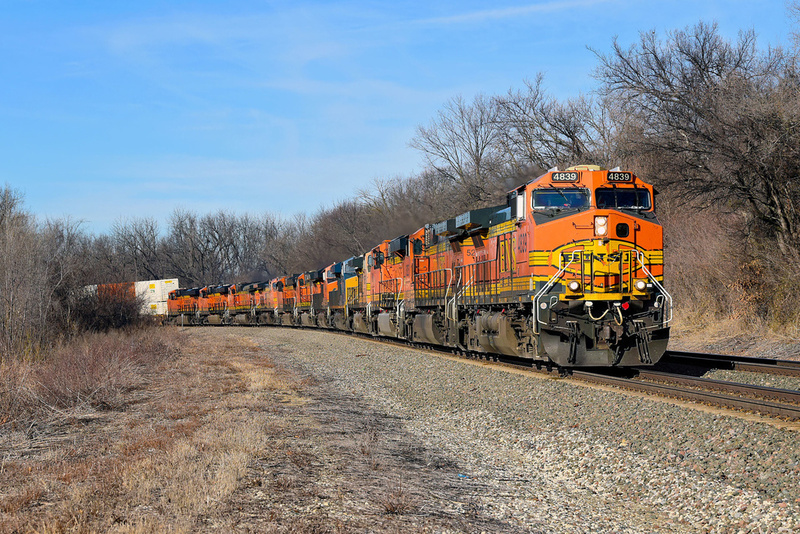 BNSF 4839 East leads an abundantly-powered stack train. @jmadhavadas At least the first ten were working, unless they skipped some. @tzhs Yes, sometimes system power distribution gets off balance and moving a few extra units on a train or by themselves is necessary. This train had more power online than is normal - I would have expected maybe six running, or eight at the most. My God! 12 Units to Power one train. That's a real Power Pack!